An episodic romantic film, built up with many stories instead of one main plot, that ponders the voids and decadence of high society. A classic film and upon it’s first night out a scandal. 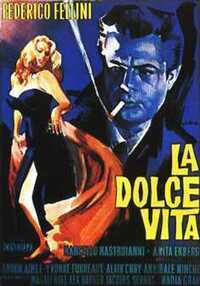 The 1960 film by Federico Fellini is named the film that split up his earlier neo-realist films from the art films he did later in his career.